Odell Beckham Jr. sees red when he’s presented with two particular things: single coverage and Nike shoes. 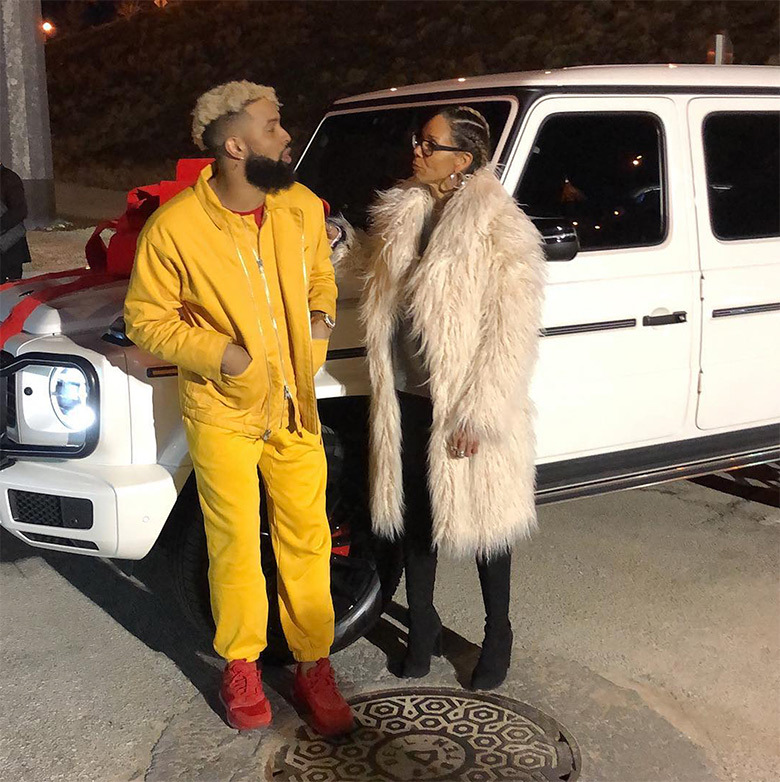 The New York Giants superstar wide-out has a penchant for the tonal look as he’s favored the monochromatic look both on and off the field, and recently he was spotted wearing a similarly treated Air Max 720 when he gifted his mother Heather Van Norman a white Mercedes “G Wagon” before the Super Bowl festivities in Atlanta. Given the weight of his generous gesture, it was easy to miss the red rendition of the newly dropped Air Max model. It’s not entirely clear if the shoes are a collaborative release such as his SF-AF1 Mid and Air Force 1 Utility, or if they were made just for him, but if you’re into vibrant colors, Nike’s got a slew of options coming your way later in February. Check out the photos ahead. The post Odell Beckham Jr. Revealed An All-Red Nike Air Max 720 While Gifting His Mother A Car appeared first on Sneaker News.